– More than 1.8 billion people share the faith of Islam across the world. As a key pillar of Islam, every able-bodied Muslim should undertake the pilgrimage once in a lifetime. Saudi Arabia has welcomed millions of Muslims from every corner of the world to Makkah. 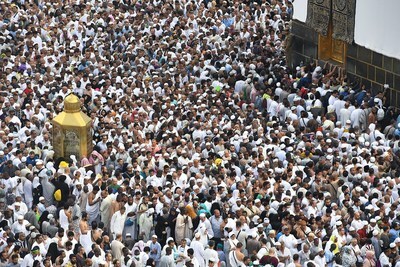 During the week of Hajj, Makkah becomes one of the most interna6onal cities in the world, with pilgrims from around 80 countries united in the Holy City.